D10A - ZTV BROADCAST SERVICES INC. The D10A is an Analog video to Digital video converter; it accepts a component analog video signal and outputs multiple SDI digital video signals. It features a compact size for inline applications. 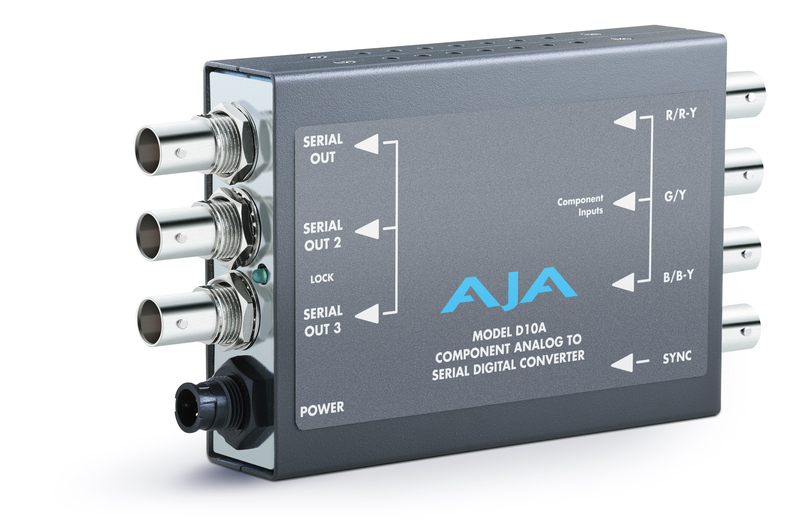 This device performs conversion from component analog video to SDI serial video. Excellent quality 10 bit A to D conversion. Able to accept both RGB and YUV component video and sync. Three SDI outputs may be used as a digital video distribution amplifier.